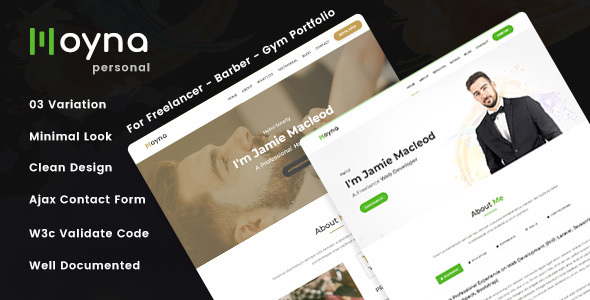 Moyna is a very clean, responsive & super flexible Creative Personal Portfolio HTML5 template that makes it easy to create a cool website of any Freelancer, Barber, Gym Instructor Personal, Portfolio etc without any hassle. It’s used standard HTML5, CSS3 technology. What You Wil Get In Download Files? Inportant: After purchasing our product, If you face installation or customization problem so, please feel free to contact with us via Envato email. We will try to best support for you. Important: Images are demo purpose only, It’s not included in the download file. Sorry for this reason!